Wątek wyłoniony z notki Energetic Synthesis: The Song of Christos Sophia. Some of us were assigned in different places on the earth (remotely) for the anchoring of four huge vertical Sound Wave Pillars [December 2012/January 2013]. These four pillars also cross diagonally into horizontal bases located in multiple dimensions of time into the parallel earth realities. This is akin to saying that all parallel earth realities are connected for access in any time field through this Guardian built architecture on the planet. In order for the Christ consciousness to live on the earth plane, the house of God (the mathematical architecture which allows the Liquid Light of Krystal Star to exist and live) must be built to contain the Krystal frequency. The “containment” structure itself built in the planetary consciousness field is referred to as the City Four Square. We also must build and rehabilitate the City Four Square in our own personal auric bodies to contain and hold the Krystal light frequency. The City Four Square represents the four planes of matter in the four quadrants of this Universe. This also represents the four elemental bases of our raw material making up the planes of matter (Air, Fire, Water, Earth). These four elementals make up the main chemical constituents of our DNA code and are being re-encrypted by the Aurora’s through the „Krystal River” current. 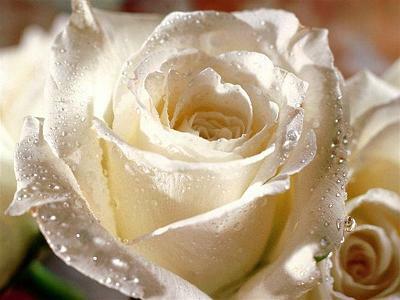 The chemical catalyst of this elemental re-encryption is Mother’s Quintessence, which is a substance that just arrived last month at the Universal Gateway opening. This new life foundation is necessary in order to focus the Divine Wholeness of God consciousness in the newly given dispensation of the anchored Ascension timeline. The City Foursquare is the „Golden City” architecture that returns God’s Laws and life force (Christ) back to this planet. A black heart system is an inorganic and artificial “heart-brain” that circulates and directs planetary life force and frequency current into distorted holograms, negative forms, phantom or dead spaces (underworlds), and off planet to Orion for their usage. They are also used to maintain the compression needed for the magnetic imprints of alien implants and their machinery to operate in the planet. These are frequency distortions that have been designed to reverse and siphon life force in a variety of unhealthy ways. Our Earth Star family will begin to be involved in healing the field damage these systems have left behind. Guardian forces determined that the black heart systems were being fed by the larger networks of frequency reversals being powered by reversal Metatronic Cube alien technology. 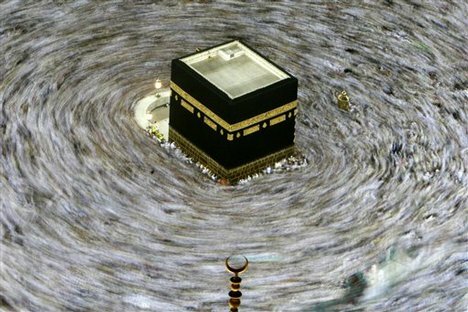 One such “power plant” cube is the Black Stone Cube (Kabba) in Mecca, Saudi Arabia. Multiple millions of beings are hard wired into the black cube and their life force is used to power up this Negative Alien Agenda (NAA) network in the Middle East. Some of these beings are incarnated on earth and many others were trapped in the other dimensional planes through its soul “binding”. This “on planet network” was comprised of thousands of Mosque Minarets located primarily in Europe and in the Middle East. The Minarets are physical and etheric structures that were designed to be point holders of reversal frequency which reinforce and run the reversal net systems throughout multiple dimensions. A massive multidimensional battle in the Jerusalem area was waged with the dark power being directed from this complex Minaret connected network that had extensive foothold in the 2D, and 4D that was rooted in the Earth Core. Once the City Four Square was anchored in its foundation platform in Jerusalem, a massive call for Guardian grid-workers to topple the Minaret structure from its reversal net broadcast was made. Some of us were sent to the Atlantian and Underworld “causation” time fields to wait for the immediate action of Guardian assisted false timeline erasure, false ascension programs removal and transiting of trapped soul fragments. Many of us may have felt the underworld fields moving through our bodies as portals being used for mass transiting. This was a literal “cutting off” of the power plant and from other timelines being used that were sending directed life force energies into this massive NAA network. The cutting off of the actual power source (and soul bodies) being used this way rendered the NAA system in the Middle East inactive. During this critical window of opportunity, Guardian teams reclaimed and recoded these networks to architecture that would run Krystal Star frequency in multiple layers. The Metatronic Cube Minaret network stopped pulsing reversals into the planetary field and is systematically being replaced and recoded into replacement technology called Krystal Star Spires. These new networks are affectionately being called “kisses” by the Guardian Krystal family. As these Guardian “kisses” are running corrected frequencies and life force patterns into the planetary grid network, there is a systematic process of rehabilitation happening in their coordinate locations on the planetary grid. These Krystal Star Spires (Kisses Network) are able to run living energy fields back into the earth from the City Four Square Foundation Pillars. This strengthens the planetary body and is acting as a buffer field that is building to protect the entire planetary body and all of her inhabitants. This field is building new ascension platforms that are acting as “hubs” through various islands which are being anchored on the planet surface during this time. This has to do with stabilizing the Pacific Ring of Fire which is the geological area of great instability due to volcanic eruptions and seismic activity. Apparently these certain island chains were apart of land masses (colonies) in the Pacific Rim that have been long forgotten through the loss of our galactic history. These islands are specific to reclaiming histories and artifacts about our real human origins and other advanced civilizations. The “crystal heart” is a crystalline network in the earth crust that gives the instruction set to direct the energetic frequencies through the planet’s energetic circulatory system. This works exactly like a human heart pumping blood into the veins and arterial system of the body. If the heart stops pumping blood into a limb because of a blockage, well, there are serious problems. The planet has some of these “serious problems” in the crystal heart network of major systems. This issue being manipulated by the Reptilians is referred to as the Anubian Black Heart. Over time the death, destruction and pain of humanity and the planet was collected and programmed into these crystal hearts making them “black hearts”. Reversed electron networks run these “black heart” systems and direct harmful energies into the planet. As the macro body relationship impacts the micro body relationship, this means some of us are undergoing massive shifts to clear this damage out of our own body from impacting the permanent atom located inside our “crystal heart”, located at the thymus gland area. As we move into 2012, gridworkers will be made aware to neutralize or heal these systems as possible when the aligned timeline permits. Diamond Heart Transmissions from the Aquamarine Mother Arc and embodied Aurora Crystal pattern is a part of healing the Anubian Black Heart in the planet and humanity. 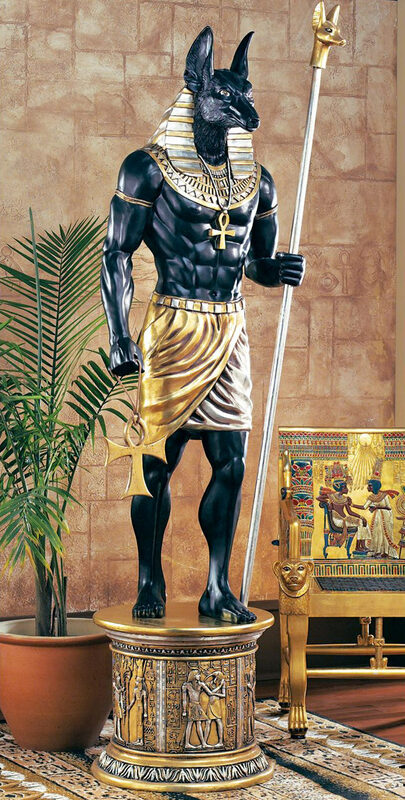 As we study the archetype of Anubis it gives us clues to understand why the Negative Aliens are using this memory field and its archetype to influence the planetary field. Anubis is the Egyptian God of the Underworld and upon measuring a deceased person with a black heart, the heart (and thus the soul) were destroyed by feeding it to Ammit. excerpt from one technique: RE implants removal from template and such (plus see also termilogy randi green used in previous posts 4/4 a them. (Also in Revelations of Ra #WS that is done and removed. relaxed, peaceful, contented SMILE. Move the focus of your attention to the E-Umbi point just below the Chakra-2 centre-point at the navel; imagine that you can see the trapped, distorted Density-1 Elemental and Figment Attachment POWER CENTRES.I magine the Attachment Power Centres as Small, Shiny Black Spheres resembling Polished Coal that orbit around what appears to be a Central Dark Sun, (the Dark Fallen Sun) which appears within the Central Vertical Current at the E-Umbi point as a Rotating Dull Grey-Black Sphere resembling Metallic Iron about the size of a Golf Ball, that is surrounded by a radiant muddy looking yellow-orange static Auraapproximately 1-inch thick. The Dark Sun around which the Attachment Power Centres orbit is the D-1.75 Heart of Anubis 4 the Black Heart of Metatron Implant that draws in and holds Attachments within the Density-1 Shadow Body. Breathe calmly and slowly for a moment while observing or imagining this Density-1 Shadow Solar System that is formed by the Density-1 Metallic Iron Anubis Black Heart Implantand Carbon-Crystal Cores of the Reversed-matrix Density-1 Attachment Shields. Level 4 Techniques involve the Til-LE-a` Nadradon Complex Electrical Activation and include Firing of the Rods, Cycling the Petals, Completing the Ancient 3rd 1/3rd Inhale, Pulling the Poison Pin and Transmutation of the D-1.75 Heart of Anubis Implant, the Gold-metallic Pin and the dense Gold-metallic Bucky-Ball C-60 Radiation Harness. Workshop recording includes preparation for, and explanation of, a Reuche Roundtable, something that has not been performed on Earth for at least 5.5 million years. This Round Table was crucial in releasing the 90-subharmonic Charge Spark, allowing the Earth to complete its ancient Christiac Exhale/Inhale sequence for the first time in 5.5 million years. Finally the first set of Lo-GA Frequency Breathing Movements (FBM’s) are introduced for accelerated Crystal Body alignment via stimulation, clearing and charging of the Axiom-Meridian, Radis and Nadis Lines, DNA Template, Signets, embodied Chakras and Crystal Body Lotus Points. do the groundwork (basics) to clear ones field & Progress and be able to maintain it with integrity. keeping a strong vertical pillar as one walks the path. Co ciekawe w tym samym czasie miałam jeden z najbardziej niesamowitych snów w życiu… o potężnym Białym Wirze, który utworzył się w Pomiędzy Dwoma Dzbanami 52… właśnie dzięki oczyszczeniu pewnych potężnych blokad znajdujących się wewnątrz Ziemi… obudziłam się z tego snu kompletnie zmęczona, ale i szczęśliwa, że udało się zrobić to co było konieczne…. ..niesamowicie się to łączy z tym co się działo w Pomiędzy Dwoma Dzbanami 52, w tym z dniem 8 grudnia, tamtymi ustawieniami, oraz aktywacją Białego Wiru (przez całą noc w czasie snu udrażniałam ten kanał, sięgając dosłownie samego rdzenia Ziemi)… Popatrz na ten obraz, który masz u siebie na samej górze… jak dla mnie ewidentnie widać na nim Szmaragdowego Strażnika i Biały Wir… ale to tylko moja interpretacja…. pisałam też u Ciebie o moich doświadczeniach z Sercem Ziemi, że widziałam je jako ogromny kryształ emanujący zielonym, szmaragdowym światłem…. nad ranem obudziłam się z potwierdzeniem tego co przeczuwam od dawna, że nie tyle szukam czegoś ile aktywuję.. wspominasz o czymś podobnym.. czasem nawet nie wiem jak to się dzieje, ale być może w normalnym stanie świadomości nie byłabym w stanie tego unieść…. i teraz jeszcze bardziej niezwykły wydaje mi się fakt, że nowym właścicielem Pomiędzy Dwoma Dzbanami 52, w którym powstał ten potężny BIAŁY WIR, został akurat ktoś kto się zajmuje zawodowo Czarnymi Dziurami… Spotkałam tę osobę jednak dopiero już po sprzedaży, bo wcześniej korzystała z pomocy pośrednika…. Co ciekawe juz po fakcie zrozumialam, ze znam juz skad A, a potem mialam sen o zagubionych krysztalach i o ORIONIE… jakas okropna walka o Słonce… słoneczny portal???? ‚A’ był w tych snach… to było takie dziwne…. Z jednej strony czułam, że poprzez bramę w swoim Sercu dotarłam do jakiejś tajemnej wewnętrznej przestrzeni kosmicznej, z drugiej, że poprzez tę bramę znalazłam się w Kosmosie na zewnątrz siebie… Towarzyszyło temu zresztą takie dziwne uczucie, jakbym wywróciła się na drugą stronę! Co ciekawe w trakcie jednego z tych doświadczeń dotarłam do pewnego enigmatycznego punktu, przypominającego czarny atom (czarne słońce? ), od którego zostałam mocno odepchnięta… tak jakby przekroczenie tego punktu nie było dla mnie w tym momencie wskazane, bo być może równałoby się z wyjściem poza grę? Samuelu witaj. Chciałam cię zapytać – ponieważ wczoraj podczas Ceremonii Anubis chciał wziąć moje serce dla tych istot, które mają szansę przeistoczyć się jeszcze – są po ciemnej stronie. Zjawił się Anioł – jak wiesz – który poprosił o to serce dla tych istot światła, które się budzą. Dałam je dla istot światła. Czy dobrze zrobiłam, bo mnie to dzisiaj bardzo męczy?